Some of the highlights from the final day of New York Fashion Week. Block shapes, detailed patterns and attention draw to the waist on many outfits. This was Proenza Schouler. A designer I hadn't previously heard of brought on of the most interesting details to today's proceedings. I loved the patterns and the texture to the fabrics. The looks were some more casual to others we've seen this week but I loved the more urban edge I got from it. The cut out detailing on some of the pieces again gave an additional edge which I think work really well for this collection. 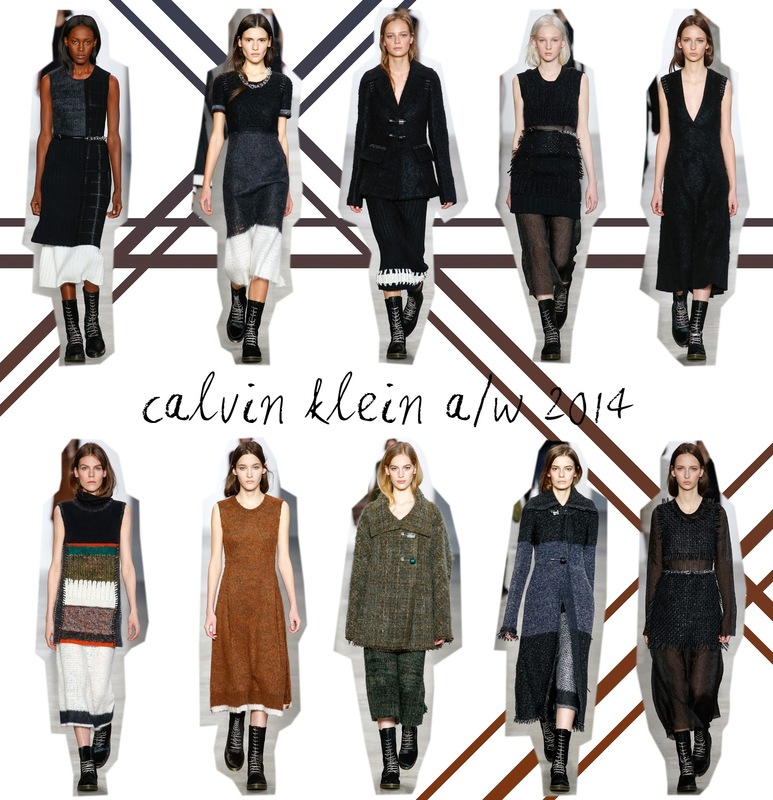 Basic shapes with interesting patterns and textures were on show from Calvin Klein. I really loved the texture to many of these pieces and thoroughly enjoyed the simplicity to many outfits that were shown here on the final day of fashion week. The shapes were kept simple but stylish and it was a lovely rounded collection that worked well as a whole. There were a mix of necklines amongst the pieces from higher scooped necks to deeper v fronts. These mixed necklines created an interesting look and feel. Overall, I really liked this collection. It was stylish, classic and extremely pleasing to look at. Starting with colors, Polo by Ralph Lauren moved through from bright block colors based around a monochrome palette to a more casual affair. The bright colours drew attention to the collection and captivated you for the rest of it. The other pieces, after this slighty smarter section, offered up some more casual options for the fall season. The mix of jackets and the tartan print worked incredibly well. The final looks were stylish yet simply and something that could easily be translated to everyday wear. The mix of dresses and trouser pieces offered up a lot of options from this designer. 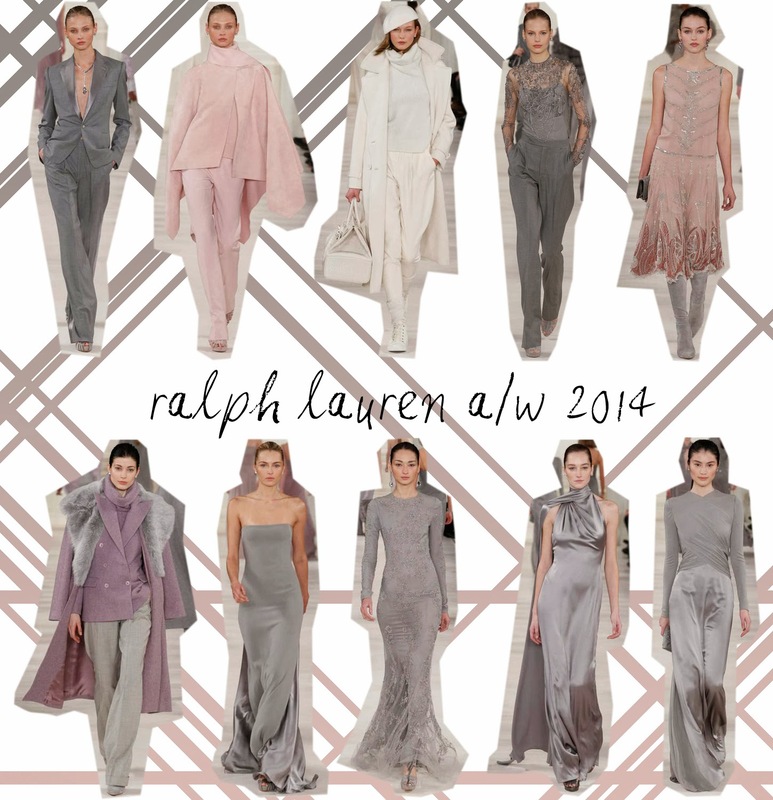 Sleek, classy and sophisticated designs, Ralph Lauren offered interesting evening wear in a elegant fashion. The main theme of colour for this evening was created from a silky grey fabric which could be seen throughout the majority of the collection. Compared to the Polo collection this was definitely the smarter affair of the two and it worked incredibly well. From the tailored coat pieces to the sophisticated and elegant evening gowns this collection had a lot to offer up. I'd highly recommend checking out this collection in detail to see all the pieces if the collection as a whole. So that's it. The final day of New York Fashion Week has fallen. Day 8 offered some classics styles as well as some more extravagent designs. It was a ending to a great week that has offered a lot. I've got a separate post coming up on my full summary from across the weeks collections so make sure to check that out when it goes up. I hope you enjoyed this post let me know your thoughts below! Have you checked out any of the NYFW coverage? You can watch live the majority of the shows live here as well as checking out what the rest of the website has to offer. I am loving Ralph Lauren! Gorgeous colours and styles!